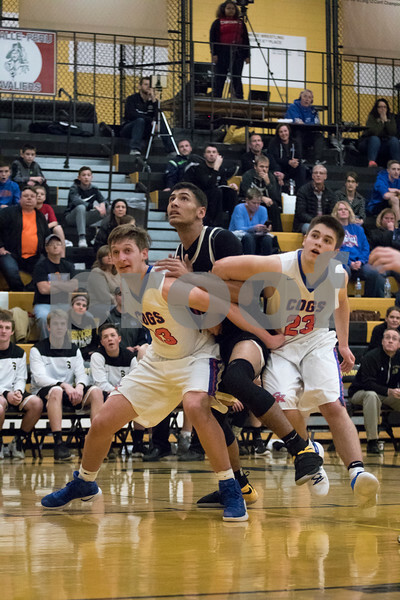 Klint Wewetzer, left, and Justin Peters of Genoa-Kingston box out Sycamore's Keyshawn Stallworth, center, during their boys basketball regional semifinal game on Wednesday Mar. 1, 2017 at Sycamore High School in Sycamore. Sycamore won 64-56.